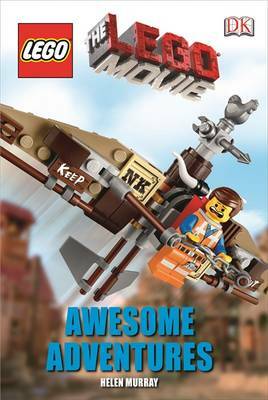 Enjoy the world of the LEGO[registered] Movie with this Level 2 Reader LEGO[registered] Movie Awesome Adventures is a brand new book introducing readers to the LEGO Movie universe. This DK Reader will be enjoyed by young learners and fans of the movie with its light-hearted and fun storyline. Level 2 Readers have easy-to-read stories with word repetition, pictures and illustrated text boxes to build literacy skills. DK Readers are a multi-level reading programme guaranteed to capture a child's interest while developing reading skills and general knowledge - compatible with the framework for teaching literacy.